A number of UK credit cards offer complimentary lounge access as a perk to encourage consumers to sign up to the premium version of their card. Today we’ll be looking at the pass offered exclusively by HSBC – LoungeKey. For those who travel regularly, access to lounges with the likes of the complimentary LoungeKey HSBC Premier Airport Lounge pass can provide real value. We’ll take a look later in the article at just what the LoungeKey HSBC pass could be worth. Unlike Priority Pass and Lounge Club which are offered across a number of credit card companies as well as standalone passes which can be purchased online, LoungeKey is only available to customers of the HSBC Premier World Elite MasterCard. To gain access, cardholders simply have to show their credit card at the reception of the lounge for HSBC airport lounge access. Holders of the free version of the card can also use it to gain access, but they’ll need to pay a fee of £15 per person. This is however cheaper than the complimentary Lounge Club card offered with the (free for the first year) American Express Gold card (our favourite UK credit card, as we discuss here) which has recently increased to £20 per visit after using the 2 complimentary passes. How does HSBC Premier credit card lounge access compare to other credit cards? What’s the difference between LoungeKey, Priority Pass and Lounge Club? 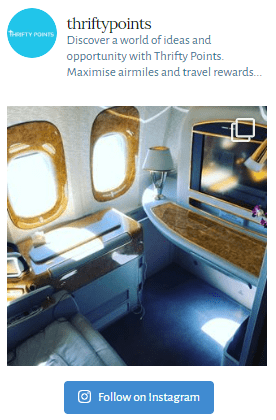 What is the LoungeKey HSBC airport lounge access worth? 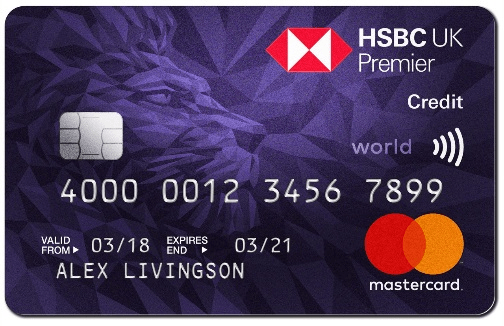 For those who don’t already hold the HSBC credit card, you may want to read my recent review here which covers the pros and cons of the card. For those of you who already hold the card, you’ll need to register your card for HSBC LoungeKey access. This can be done at the LoungeKey website here. Once you’ve signed up simply show your card when you visit to gain complimentary access. The LoungeKey HSBC Premier credit card comes with an annual fee of £195 pa. If you’re simply looking at LoungeKey as the only benefit of the card, then compared to other lounge passes it’s surprisingly good value. If you were planning on purchasing the Priority Pass with complimentary annual access it would cost £339! Over £50,000 of investments or savings with HSBC. This will clearly prevent a number of people from signing up to the credit card. So how does it compare to other complimentary lounge access offered by other credit cards? The only other card which offers unlimited lounge access is the American Express Platinum card (reviewed here) through Priority Pass. The card comes with a huge annual fee of £450 pa however for a small handful of people the numerous perks will more than offset the cost of the card… The benefit of the Priority Pass over the HSBC LoungeKey lounge access is that the Priority Pass allows one complimentary guest. If you subscribe to a supplementary Platinum card for someone else in your family they’ll also receive a Priority Pass. With both allowing one guest, a family of four can gain entry to lounges free of charge. Of the above, my favourites are most definitely the No 1 lounges. As I write about here these can get extremely busy during peak times (especially school holidays). In these instances you may want to reserve a space to avoid disappointment and also gain access to Fast Track Security. In all honesty, not a great deal. If anything I’d say that Lounge Club has the worst coverage but Priority Pass and LoungeKey are very very similar. There’s a simple reason for this… All three are owned by the same company – Collinson Latitude. You can read my full reviews on Priority Pass here and Lounge Club here. This is a very tricky one to answer because it’s so dependent on the individual’s travel habits. If like me you find yourself travelling up to 5 times a month, the quantifiable benefits of a lounge (the amount you would usually spend on food and drink in a lounge) will add up quickly and I suspect will more than outweigh the £195 of the card. But what if you only travel say 4 times a year and you always travel with the family? Yes, having somewhere quiet to sit and pass the time is nice. Access to complimentary food and drink is great but don’t forget besides your own complimentary pass you’ll need to be paying £15 per person to enter the lounge. In this instance if you apply no value to the various other benefits offered by the credit card, you’d be paying £48.75 per visit plus £15 per guest. You’d be far better off opting for the American Express Gold card using the 2 free passes and then paying £20 for every visit thereafter! I also thought it would be useful to touch briefly on the LoungeKey HSBC app. As you could imagine the app somewhat mirrors the Priority Pass app (as they’re owned by the same company) which I’m a big fan of. There’s nothing worse than turning up at an international airport, trying to connect to the Wi-Fi (to prevent incurring significant roaming fees), getting lost while you’re trying to track down the correct lounge and generally just wasting precious time you could be spending in the lounge. 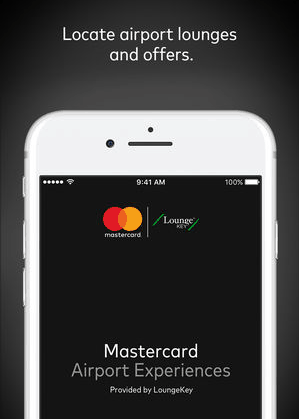 The HSBC LoungeKey app is simple to use and directs you to the nearest lounge, which is very handy. What happens if you don’t have your card with you? The lounge staff are unable to look up whether you are a LoungeKey HSBC Premier UK member and as such they will always need to swipe your card on arrival. Can someone else use your card for HSBC LoungeKey Access? No. Your LoungeKey HSBC Premier UK credit card will be checked against your passport so there’s no way around this I’m afraid.